Obituary – Gershon, Ethel Maurice (Gottlieb) « Perry High School Alumni Association, Inc.
– daughter of Mr. and Mrs. Rudolph Gottlieb, was born in June 17, 1918 in Perry. She has attended the Perry schools all twelve years. She was a member of the Perry band and participated in an all-school play. While in the 9th grade she won the gold and silver medal in the W.C.T.U. oratorical contest. Following graduation she expects to attend Oklahoma University at Norman, Okla.
Maurice Gershon passed away Monday, October 8, 2018 in Palo Alto, CA. A graveside service will be held at 3:30pm on Friday, November 30, 2018 at Fairlawn Cemetery in Stillwater, Oklahoma. A reception will follow for family and friends at the Stillwater Country Club. She was born June 17, 1918 in Perry, OK the older of two daughters of Rudolph and Elsie Gottlieb. She graduated from Perry High School and attended the University of Oklahoma where she was a member of the Sigma Delta Tau sorority. After leaving college she worked at the Oklahoma Legislature. When her husband Morris Gershon returned from WWII they moved to Stillwater and opened Bonney’s a lady’s clothing store on Main Street. Following Morris’ death in 1989 the store closed. Maurice was a wife, mother, daughter, sister, aunt, grandmother, great grandmother and great friend. She lived in Stillwater for over 40 years and loved being a member of the community. 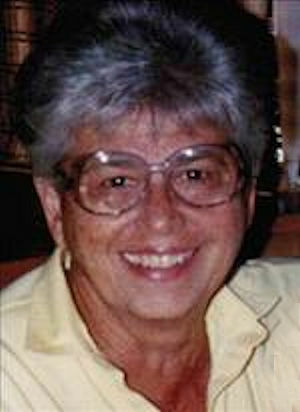 She was a founding member of the Board of Directors of the Stillwater Country Club, and a member of the Temple Emanuel Congregation in Ponca City. She loved to play cards and golf. She was an excellent needle pointer and loved to do all kinds of handwork, from making Christmas ornaments, to crocheting and knitting. She loved to cook. Food was the always the most important part of the party when she entertained family and friends. In 2006 she moved to Epworth Village in Oklahoma City. Following a stroke in 2007, her family moved to her to Palo Alto, CA to be closer to them. She suffered from stroke related dementia and was in declining health during the past 10 years. Maurice is survived by her son, Larry Gershon (Thayer), Palo Alto, CA, grandson, Jamie Gershon (Megan), Menlo Park, CA, granddaughter, Emily Miller (Matt), San Francisco, CA, and great-grandson, Lincoln Gershon, Menlo Park, CA. The family requests any gifts in Maurice’s memory be in the form of a donation to the Morris Gershon Memorial Fund at the Stillwater Medical Foundation, P. O. Box 2408, Stillwater, OK 74074.